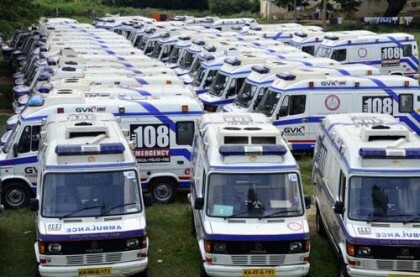 Shimla: The Himachal Pradesh High Court has declared the 108 ambulance union strike as illegal, cautioning the protesting employees to resume their duties, at the earliest. The Division bench of Acting Chief Justice Sanjay Karol and Justice Sandeep passed this order, taking suo motu notice on the call of the 108 agitation, here. ”We are of the considered view that simultaneously, genuine grievances of such persons must be addressed,” the bench added. Both the State and GVK Emergency Management and Research Institute have been directed to forthwith communicate the order to the Drivers or Technicians or their respective Unions. Listing the matter for August 9, the court said that ESMA has been already invoked against the protesting employees. ”We would not hesitate from taking any strict action against the erring persons,” the bench warned the agitators.